Deep fried Corn tossed in diced onions, peppers and spices. Cheese cubes marinated in corn flour batter spices, deep fried and tossed with yogurt and spices. 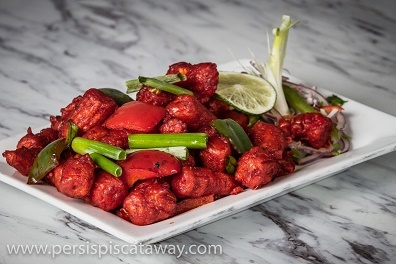 Crispy baby corn tossed in hot chilli sauce with onions and green peppers. Cheese cubes sauteed with onions, peppers, hot chili and soy sauce. Chili peppers stuffed with spices, batter and deep fried first time then cut into pieces and fired again crisply. Sliced onions and greens deep fried in spiced blended batter. Fried peanuts tossed in red onions, fresh. Cauliflower marinated in corn flour batter spices, deep fried and tossed with spices & sweet soy sauce. Fresh cut mushrooms marinated in corn flour, mixed with fresh ground pepper, spices and fried to a mouth-watering delicacy. 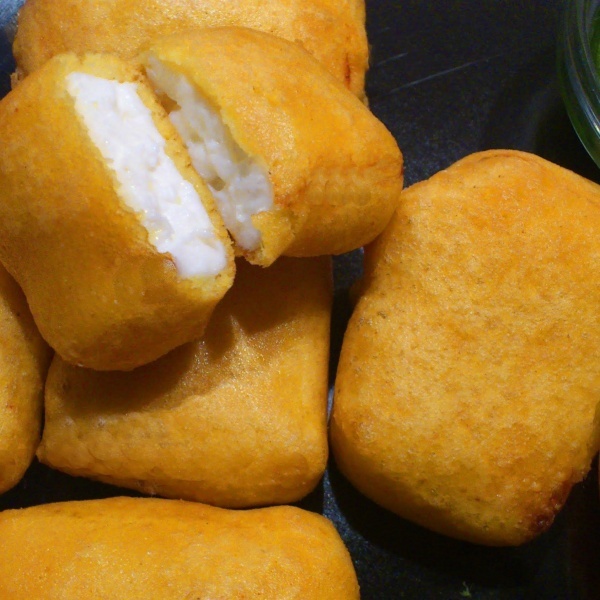 Fresh cottage cheese squares battered in chick pea flour with delicious spice combination and fried until golden brown. 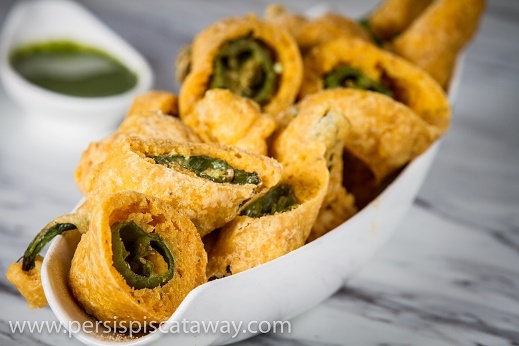 Fresh spinach fritter deep fried in chickpea batter. 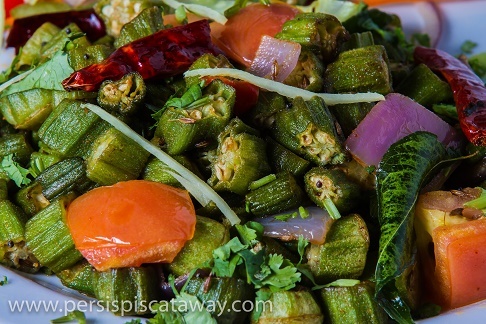 Finely cut okra fried and sauteed with spices and nuts.